We manufacture pressure and feed rollers for moulding machines, feed devices and belt grinding machines according to drawings or samples completely ready for installation. The choice of the roller coating, the design of the roller coating in smooth or grooved form and the most suitable degree of hardness for the roller coating must be determined customer-specifically. Our employees will be pleased to advise you by telephone or at your site regarding a high-quality and cost-effective design of pressure and feed rollers. Gubisch castors consist of a core of aluminium or grey cast iron. In addition to the polyurethane materials that have long been proven in the wood processing industry, the elastomer Vulkollan® is mainly used for the coating. 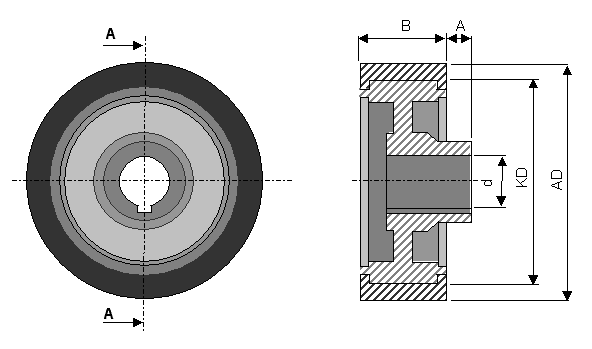 The locating bore of the core is a keyway design. 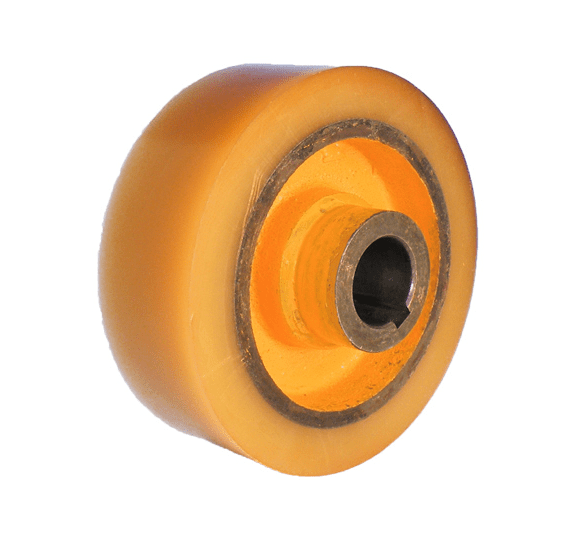 The Gubisch rollers are mainly coated with the elastomer Vulkollan® patented by Bayer. Its outstanding product properties are characterised in particular by outstanding tear and tear propagation resistance under the highest mechanical stress, extremely low abrasion even on rough contact surfaces and impressive dimensional stability. In addition, Vulkollan®, like polyurethane materials, has good resistance to solvents, glues, gasoline, mineral oils, paints and greases.